It seems fairly obvious that the earlier a cover crop can be seeded in the fall, the more growth there will be (in both the fall and spring). 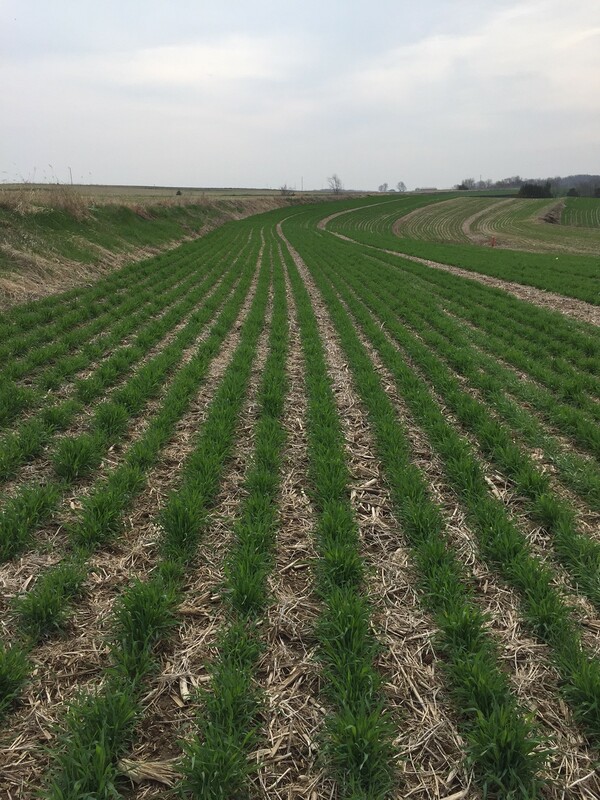 Currently, the NRCS seeding deadline for winter-hardy cover crops is October 21 if you are receiving cost-share. 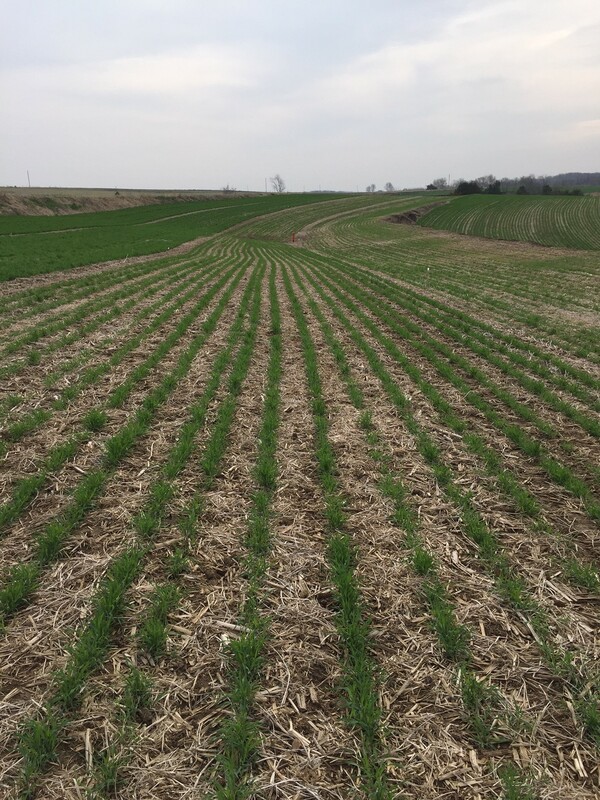 If you plant a rye cover crop after that date, will it grow well enough to provide a benefit? The answer is likely “it depends”. 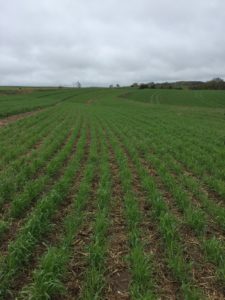 As always, there are many factors that affect cover crop growth including the seeding method, the seeding rate, the weather, the previous crop, and the soil conditions. 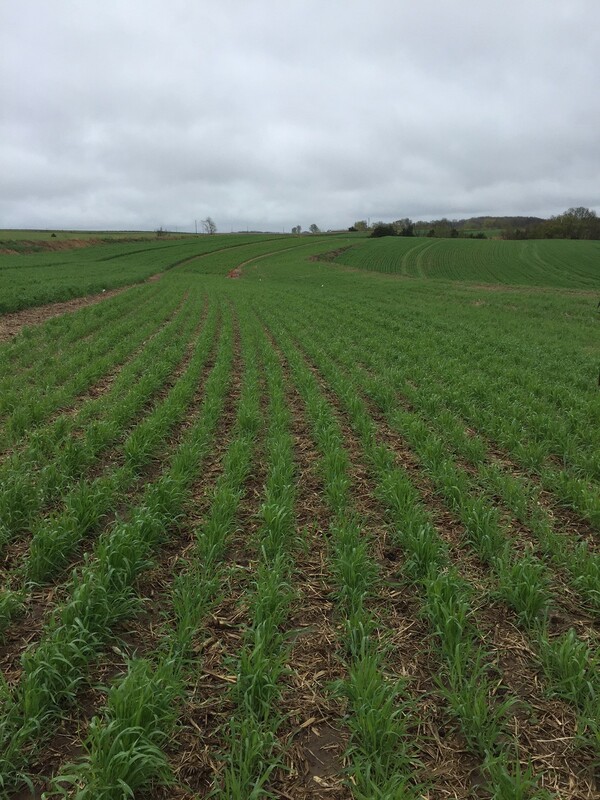 In a colder fall, there will likely be little fall growth from a late seeded cover crop. It therefore won’t provide much erosion protection over-winter or in the early spring. The main benefit will be nitrogen scavenging in the spring. It also may be more likely to have some winterkill issues if it just starts growing right before freeze. 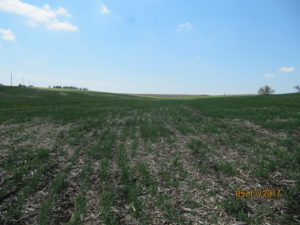 If seeding late, you may want to increase the seeding rate to help increase the stand density the following spring and make up for some potential winterkill. A visual comparison shows how much difference there may be based on seeding date. 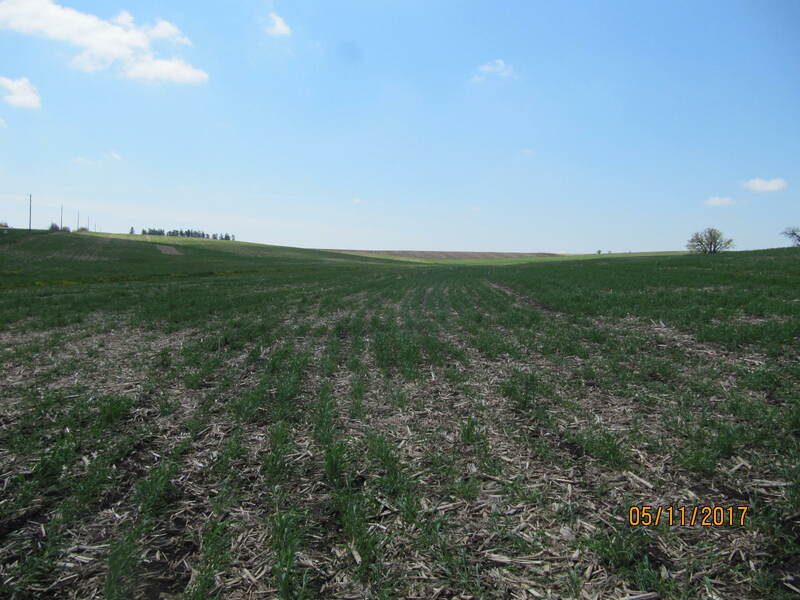 In all of the photos, cereal rye was seeded at 1 bushel/acre. The first two photos were taken April 14. Obviously the termination date can also have a big impact on the amount of spring cover crop growth. The first two photos below were taken May 1 and the third photo was taken May 11. The difference between the October 11 and October 31 seeding is less evident after an additional 2.5 weeks of growth. 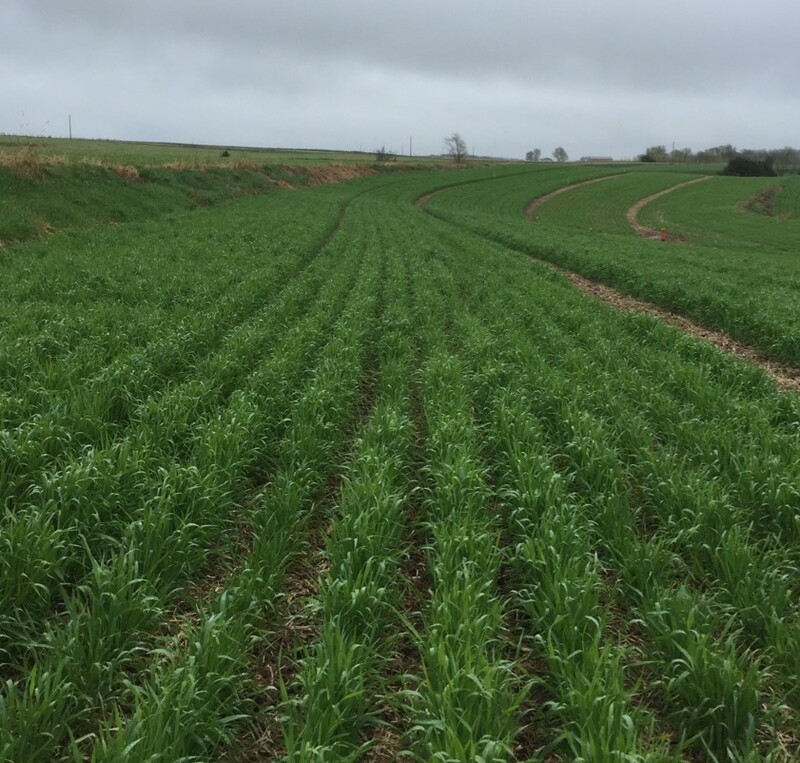 However, if the cover crop had been terminated weeks ago, then the cover crop benefits would be quite different between the different seeding dates. 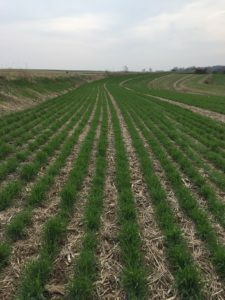 Research from ISU has shown that a cereal rye cover crop that grew an extra three weeks before soybean planting produced about 300-400% more biomass with a 100% increase in nitrogen retention when compared with early terminated cover crops. 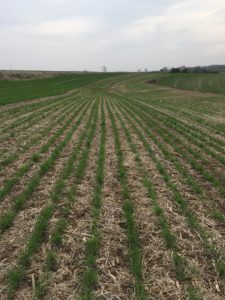 If you get your cover crop seeded late, you may want to try to let it grow as long as you can in the spring before terminating to help gain the most benefit from the growth. 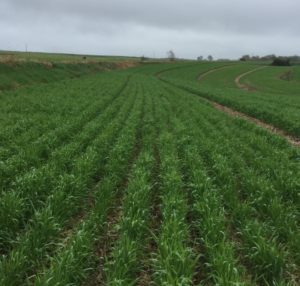 The general suggestion is to terminate a cover crop 10-14 days before planting corn, however many people are starting to push that to see if there really is a need to terminate that early or if other management such as applying starter fertilizer can help overcome potential issues. Studies have shown that cover crops do not need to be terminated until 5 days after planting soybeans (per RMA guidelines). Allowing the cover crop to grow as long as you can, or are comfortable with, in the spring will likely provide the most “bang for the buck”.